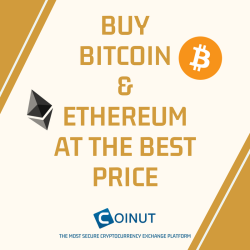 Expert Leaders Limited is a UK company for crypto trading for major digital assets and cryptocurrencies, including Bitcoin, Ethereum, BitcoinCash, Dash, Dogecoin, and many more. We invite people who are willing to grow their funds in crypto trading but are unable to do so because they're not expert traders. We offer stable returns for middle-term investment contracts and the fresh concept of a referral system. Memo: Shopping Cart Payment. Deposit to Bit2XP XP12550..
05.01.19 16:42	Transfer	Sent Payment: 200.00 USD to account U18076836 from U17755***. Batch: 241798100. Memo: Shopping Cart Payment. Deposit to Bit2XP XP12647. The amount of 200 USD has been withdrawn from your account. Accounts: U*->U18076836. Memo: Shopping Cart Payment. Deposit to Bit2XP XP12594.. Date: 14:26 05.01.19. Batch: 241785435.